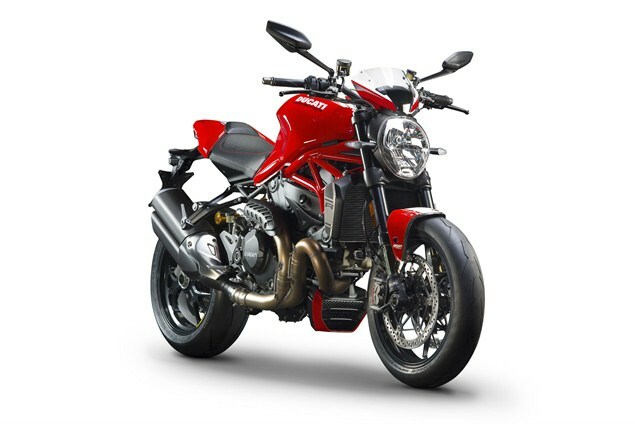 Another aggressive model from Ducati, the 2016 Ducati Monster 1200 R, will be released early in 2016. Since the rumors of this star quality bike star came out – the vehicle has become a nightmare for other brands that plan to launch the same concept. With the outstanding value of performance capability – this bike will be one of Ducati’s collector’s items bike catalog. The public appearances for this bike have been part of the Volkswagen Group Night along with the Frankfurt International Auto Show 2015. At those two events – this bike truly amazed all of the high profile guests and press that came to the events. At first glimpse, this bike has the Italian eye candy vibe. All of the bodywork uses the lightweight components that make the performance even better than the average sports bike. The aerodynamics are the best, the 2016 Ducati Monster 1200 R has a one-piece seat designed to fit along with the excellent exhaust pipe. We can see clearly that the exhaust pipe is solid, strong, and massive. With bright red, along with black, and a little bit of chrome – the appearance of this bike is perfect. There is a special black color option besides the red color that seem tempting as well. When we heard the acceleration and all the engineering details– we were surprised with all the flexibility and reliable performance numbers. For the acceleration, it can go from 0 to 62 mph in 3.2 seconds. The engine’s output power is around 160 horsepower. The engine equipment for this Monster 1200 R includes two reliable and powerful cylinders. 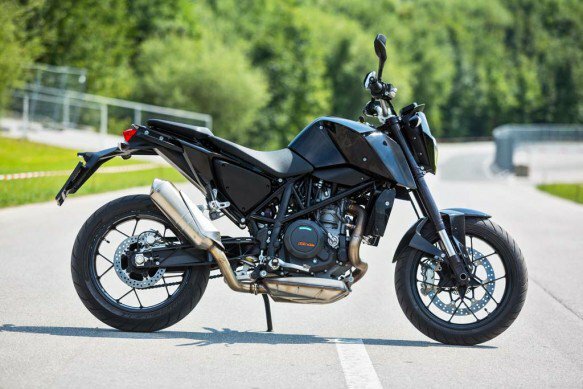 The pre-release photo of the prototype of the 2016 KTM 690 Duke is still in the middle of undergoing testing, and the release date will probably be around the middle of 2016. The price will start around £7,199– there will be a complete official statement regarding the fixed price. We just hope that there will be a debut public performance for this bike using the V-Twin engine that provides smoothness in the riding experience. At this time, the equipment details, wiring, and the bodywork are still in their unfinished phase. With this Duke’s new label — the performance of this bike will be powerful and provide uncompromising muscle. 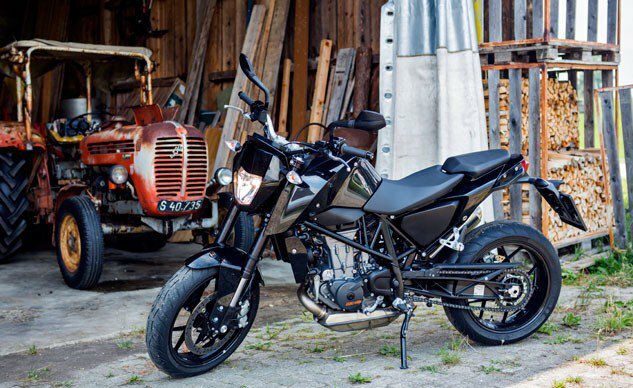 This bike will use the Euro 4 regulations for its emission section. 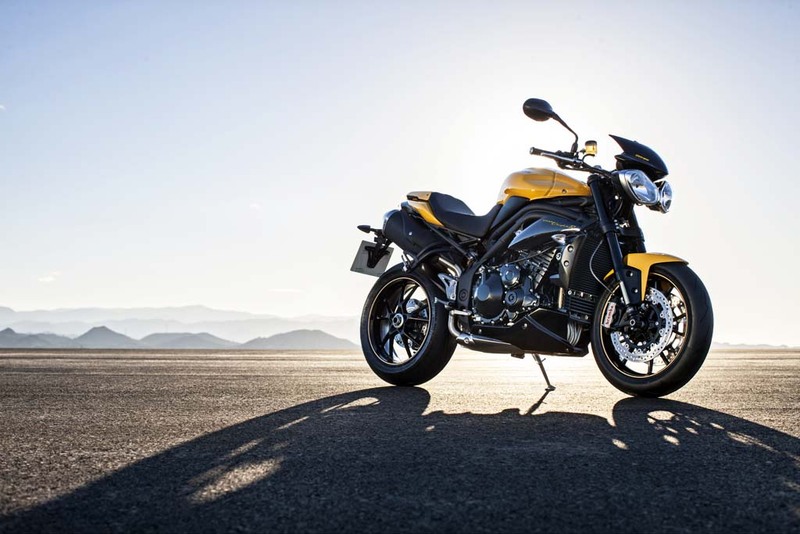 The 2016 Triumph Speed Triple 94 has a strong racing style with all the street fighter elements to elevate performance to the highest level. This new production is a transformation of the past 1994 edition with a new formula for bike making. The color lineup will have two distinctive options, Jet Black and Racing Yellow. This bike has a graphite portion that enhances the bike, giving it a more sophisticated outlook. When we take a closer look – we notice that the design also uses carbon fiber to maintain its strength and protection for riders. There is an Arrow Exhaust for this bike; a new system that combines two different components, titanium and carbon fiber. The company’s long history has made them a leader in the motorcycle world, especially in engine management. Even the chassis control is very sophisticated and works well with the injection system and the engineering. The safety features of this bike use anti-lock braking with exceptional fuel economy, along with the ergonomic design that protects riders from any backbone injuries. Some more features include the ABS with four pistons, immobilizer system, and the computer instrumentation. The displacement will be around 1050cc, and the engine will use liquid- cooling, 12 valves, and 3 cylinders. It will have an X-ring Chain and the gearbox will have a 6-speed transmission setting. The clutch is one of the most important features; it will be the new wet and multi-plate. 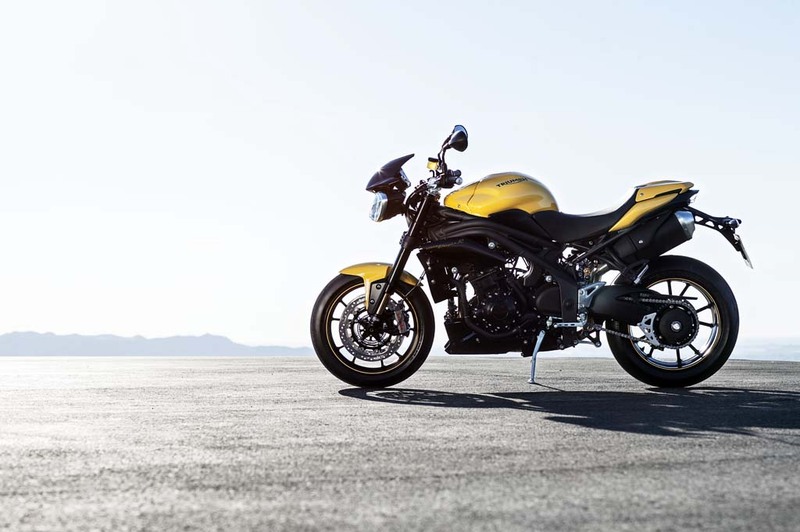 The performance section of this 2016 Triumph Speed Triple 94 gets the surprising boost of 133 horsepower with 111 Nm for 7,750 RPM. The fuel consumption result shows that this bike can achieve 59.5 mpg. The brand introduces a massive fuel bike, with a capacity of 17.5 liters. It may look like a fast bike, but this current review shows that the length is around 2100 mm.